"Hoosiers are expert builders, constructing airplane components and lifting our Indiana economy"
NEW YORK & LA PORTE, Ind.--(BUSINESS WIRE)--Leading aerospace manufacturer Alcoa (NYSE: AA) today broke ground on its state-of-the-art, $100 million aerospace expansion in La Porte, Indiana where it will produce nickel-based superalloy jet engine parts. 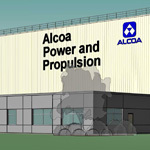 The new 320,000-square-foot facility will expand Alcoa’s reach from structural engine components for business and regional jets to large commercial aircraft, including narrow- and wide-body and military airplanes. Engines for narrow-body aircraft are among the top selling jet engines in the world. The plant will increase the Company’s capacity to supply engines for narrow-body aircraft. It also will enable Alcoa to produce parts nearly 60 percent larger than components it makes today, expanding its market reach to wide-body airplanes. These components are used in the compression and hot sections of the engine. Alcoa is already the global leader in jet engine airfoils. Construction of the plant is underway and is expected to be complete by the fourth quarter of 2015. Customer contracts underpin the new capacity. The facility will use the latest in high-tech advanced manufacturing equipment, including digital x-ray for real-time quality assurance, 3D printing of prototypes, blue light technology for more comprehensive dimensional inspection data, and automated casting furnaces with advanced controls to meet precise product specifications. Indiana Governor Mike Pence, La Porte Mayor Blair Milo, and other state and local dignitaries joined Alcoa executives, employees and community members to celebrate the expansion which will create 329 jobs by 2019. 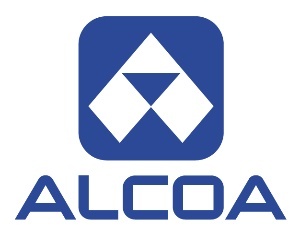 These investments are profitably growing Alcoa’s aerospace business, which had revenues totaling $4 billion in 2013. The Company holds leading market positions in aerospace forgings, extrusions, jet engine airfoils and fastening systems and is a leading supplier of structural castings made of titanium, aluminum and nickel-based superalloys, which are produced by its downstream business, Engineered Products and Solutions (EPS). The Company also holds leading market positions in aerospace sheet and plate produced by its midstream business, Global Rolled Products (GRP). 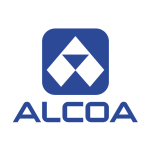 The Company’s value-add businesses, comprising EPS and GRP, accounted for 58 percent of Alcoa's first quarter 2014 revenues and 76 percent of the Company’s total segment after-tax operating income. Alcoa employs nearly 3,200 people at three operating locations in the state of Indiana: Warrick Operations, east of Evansville, Ind., with 1,925 employees; Lafayette Operations with 745 employees and Alcoa Howmet in La Porte, Ind., with 470 employees who manufacture highly engineered turbine components made of advanced nickel-based superalloys for jet engines, industrial gas turbines and other turbine-based transportation products. Reinforcing Alcoa’s commitment to Indiana and in celebration of the expansion, the Alcoa Foundation is granting $60,000 to Ivy Tech Community College—Indiana’s largest public postsecondary institution and the nation's largest singly accredited statewide community college system serving nearly 200,000 students annually. The funds will support the launch of a nationally recognized certification program and a class on Computer Numerical Control (CNC) Programming through which students will be given core knowledge and skills needed to work in an advanced manufacturing environment. Scholarship opportunities will be available for these 8-12 week programs, which will connect students with local manufacturers looking for skilled talent. Editor’s Note: Caption for accompanying photo: Leading aerospace manufacturer Alcoa today celebrated the start of construction of its state-of-the-art, $100 million aerospace expansion (rendering shown here) in La Porte, Indiana. Additional resources: Go to www.alcoa.com/laporte for more information, photos and b-roll.